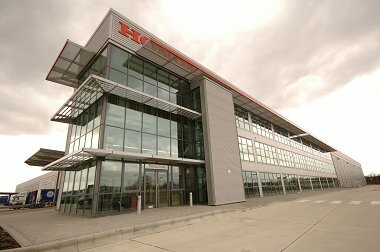 Honda Logistics Centre (UK) Ltd today opened a new £24 million logistics operation in Swindon, to supply parts to Honda’s UK car, motorcycle and power equipment networks. Employing 106 people, the state-of-the-art centre is adjacent to Honda’s UK and European car manufacturing facility where Honda employs 4,000 Associates manufacturing Civic and CR-V models. Further to its commitment to car manufacturing in the United Kingdom this new, fully-owned purpose built warehouse confirms Honda’s future Logistics and Procurement functions in Swindon. The land was purchased on 31 March 2005 and in less than 12 months the new 350,000 square foot warehouse and office facility has been completed, including all fitting out and the transfer from the existing premises of complete motorcycle units, power equipment and spare parts for the aftermarket. 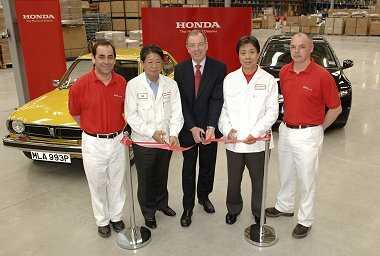 Managing Director Honda of the UK Manufacturing Ltd. The new building provides the 106 Honda associates and its partners with a state of the art facility, including a European Engine Centre sales and training facility. Additionally the design incorporates all the latest building technologies with particular emphasis on reducing any impact to the environment. The new logistics centre was designed and built by ProLogis, the largest warehouse developer in Europe, with support from Norwest Holst. Jazzin' it up in Swindon! 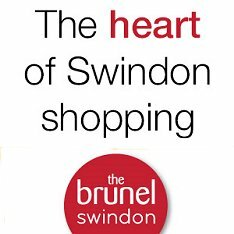 Swindon made - in a class of its own!